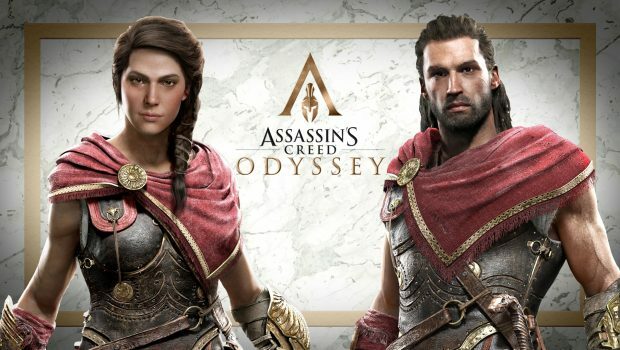 Summary: Assassin’s Creed Odyssey is the most ambitious historic open-world sandbox of Ubisoft's long-running series yet; generous in content and overwhelming (in a good way) in the sheer depth of its multiple gameplay systems. 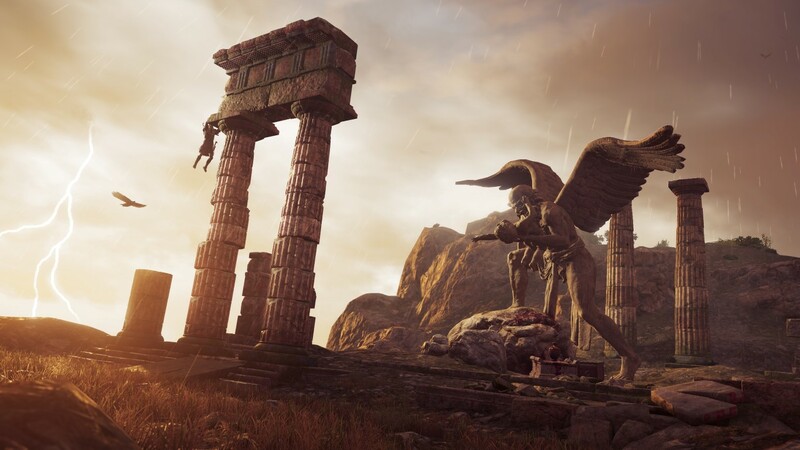 Assassin’s Creed Odyssey is the first game in the series since 2013’s Black Flag to capture my interest for an extended period of time. 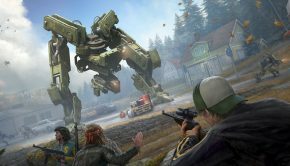 Not because of its sprawling open-world environments or lavish graphics, but because of its shift towards a deeper role-playing experience backed by the franchise’s numerous in-depth gameplay systems. 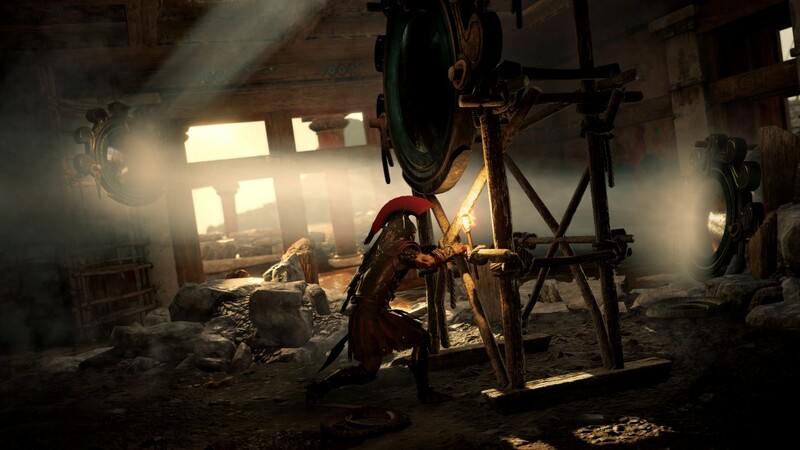 Last year’s Assassin’s Creed Origins firmly took the franchise towards action-RPG territory, and Odyssey confidently builds upon the stats and character-driven template of its predecessor and offers up a 60+ hour gameplay package of epic scale, with more player-driven choice and consequence than the series has ever had before. 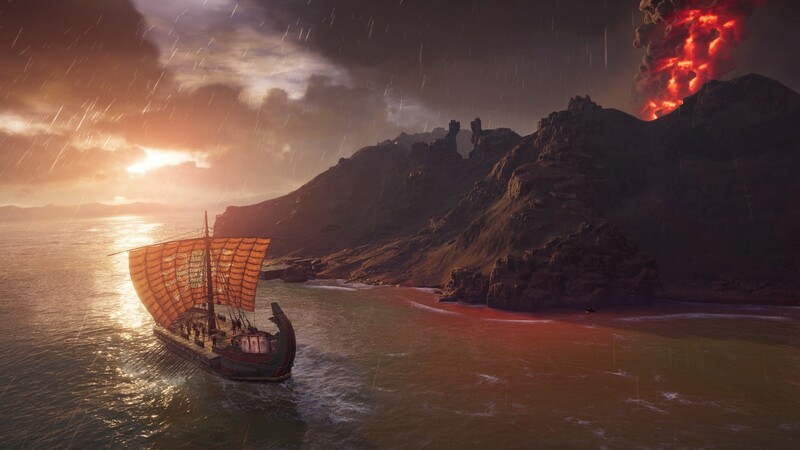 After an action-packed opening as the legendary Spartan Leonidas of the 300, Odyssey kicks off in 431 BCE on the small island of Kephallonia, in the midst of the Peloponnesian War, a lesser-known conflict which saw the Delian League led by Athens fight against the Peloponnesian League led by Sparta. 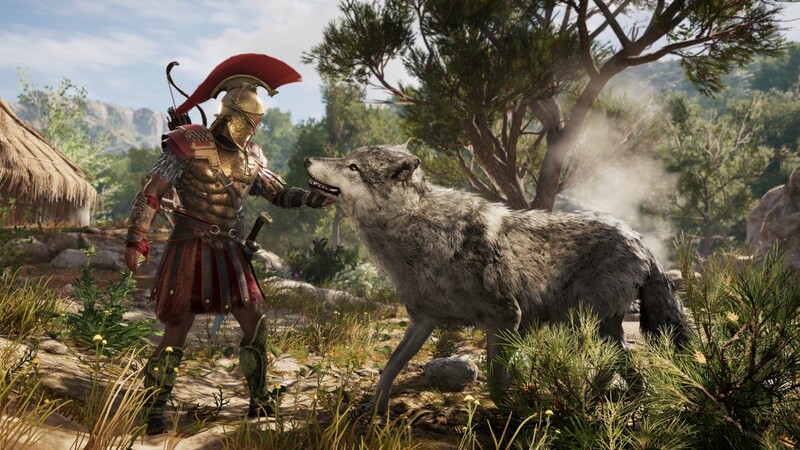 You take on the role of either Alexios or Kassandra at the start of their journey, an up-and-coming misthios (mercenary), well known for working local contracts for a weasel merchant and wielding the fabled spear of Leonidas. They’re also an outsider who washed up on the island’s shores as a child, and while the opening missions are dull, the build-up of mystery surrounding the hero’s origins is well-crafted and engaging – and the fate of the sibling you don’t choose cleverly tied to the plot. Like many others, I chose Kassandra and the choice was a big part of the reason I enjoyed Odyssey so much. The actress steals the show in both delivery and personality; she’s effortlessly charismatic and commanding, with a surprising sense of humour that best shows when choosing less serious or more amorous dialogue choices – but if you fancy playing as a no-nonsense Greek warrior, she’s just as bloodthirsty and scary as her male counterpart, and easily one of the best series leads yet. 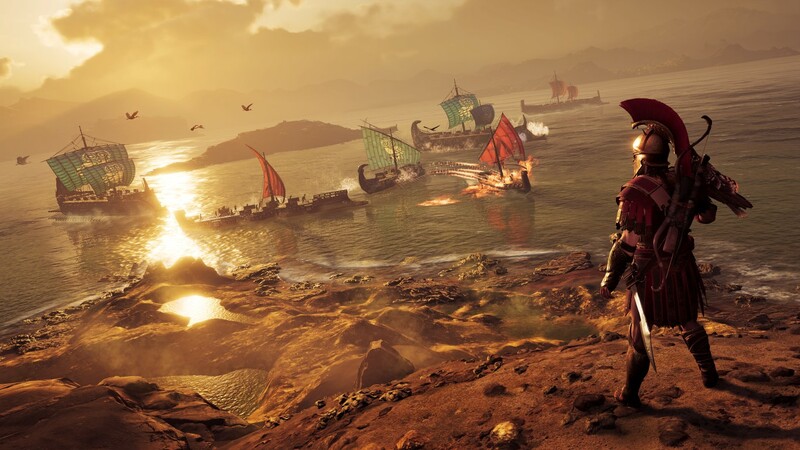 Odyssey is Ubisoft’s first big step towards more cinematic storytelling and player-navigated dialogue trees reminiscent of role-playing games like Mass Effect and its execution generally resonated well with my particular tastes. However, it’s clear the developer is still experimenting with new ideas to mixed results. 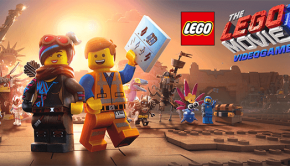 Characters and conversations throughout the main story are well-acted and written, with a decent number of unexpected outcomes and consequences depending on your choices, but the quality of voice-acting and development of side NPCs is often lacking and less interesting. 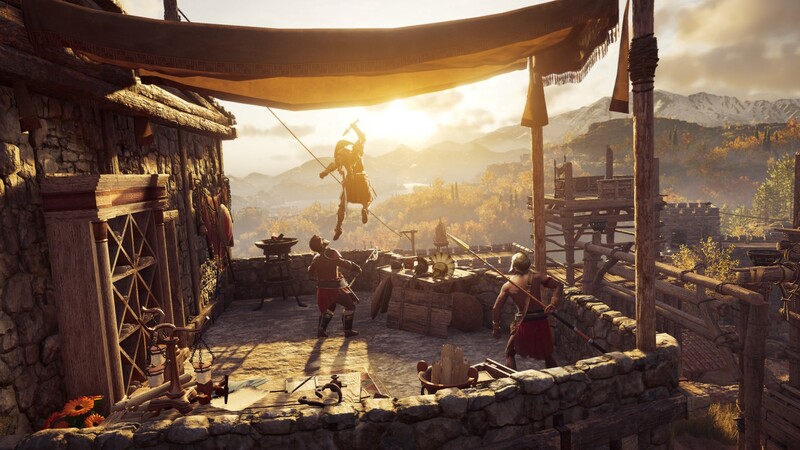 The main story too, ebbs and flows; the effort placed in the set pieces and emotions conveyed by the main players is enthralling, but there’s a distinct lack of interesting side characters to compliment Kassandra that aren’t overly generic or slapstick. The modern-day storyline of Layla Hassan, too, is dull in comparison but thankfully only a small part of the overall package. Even the new romance mechanics available for Kassandra boil down to comedic distractions or meaningless sexual rewards for a job well done. Thankfully, around the halfway mark the consequences of your choices and the overarching main story ramp up to something far more compelling than past games. 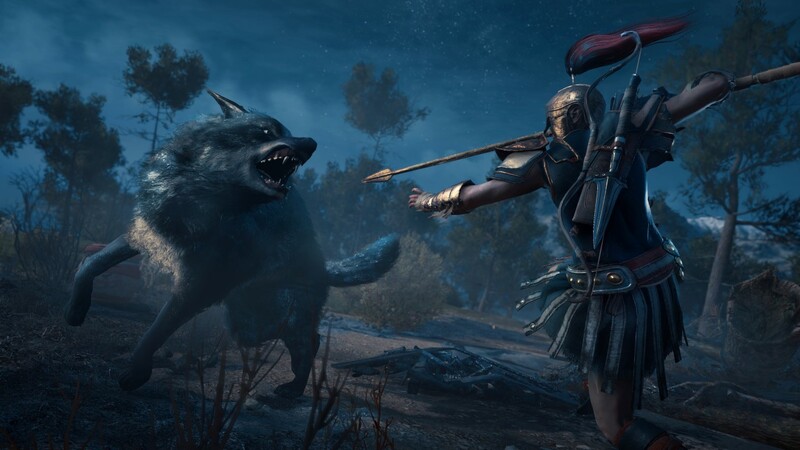 Returning fans of Assassin’s Creed Origins will be familiar with the core gameplay of Assassin’s Creed Odyssey, which closely follows and refines the RPG-oriented mechanics and systems of its predecessor. Unlike earlier games, combat places more emphasis on direct melee encounters; while stealth still plays a key role in how you approach missions and moment-to-moment encounters, direct confrontation is inevitable in many cases. The game handles this by providing players with three skill trees – Hunter, Assassin and Warrior – each with their own set of unique abilities. My personal favourite new ability was the Spartan Kick, clearly inspired by the movie 300; kicking heavily armoured foes off the cliff to their gory deaths never gets old. The variety of special moves available spice up the otherwise basic combat system very well and keep every encounter fresh. 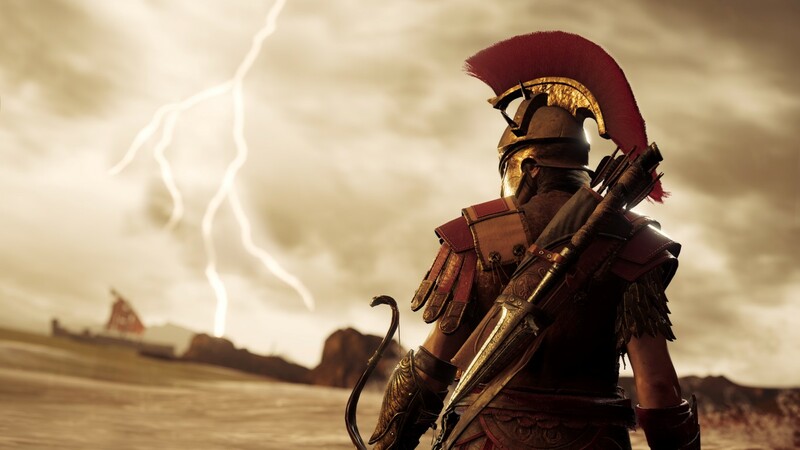 The gear system and level mechanics for enemies also returns, with an overwhelming amount of armour and weapon loot to equip and upgrade over the course of the game to keep your hero competitive with increasingly difficult enemies (and looking fly kitted up in Spartan gear). Fighting foes with sword, daggers, spear and bludgeons is fast, frantic and slightly floaty, but both the weapon and kill animations are stellar and portray the power fantasy of being a Greek warrior very well. Traversal is also fast and simplified like Origins, which comes in handy during the larger-scale conflicts against multiple enemies playing a big part of the game as you take on missions defending or leading the charge against Athenians or Spartans. These battles are part of the new War System, a series of contracts you can take to alter each faction’s influence over the many Greek islands and regions and utterly absorbing in its depth. Your speed is also helpful for dodging Mercenaries, a new system which sends powerful mistios after you whenever you have a bounty over your head from competing factions (or killing innocent civilians). I enjoyed taking down the warriors who stalked my Kassandra, and the threat of a new foe around the corner kept me on my toes throughout the game. It’s easy to see the drastic overhaul of the combat system from stealth to open warfare and the simplification of player movement may divide long-time fans – but if you’re open to mixing up stealth and open warfare, you’re in for an action-packed 60+ hours of content here. That’s not even taking into account the hours upon hours you can spend in naval combat battling enemies in the open waters and upgrading your ship. This was one of my favourite pastimes of Assassin’s Creed IV: Black Flag and here it’s again a whole in-depth game system in itself, complete with many recruitable lieutenants (including past series heroes), customisable crew members and ship cosmetics to indulge in. If there’s one type of player that won’t meld well with Odyssey, it’s one who lacks free time. 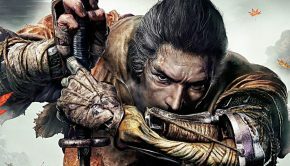 A significant part of the later game story content is gated by progression, with the game demanding you to level up, gain XP and do as many side activities as possible to be able to fight foes on even standing. 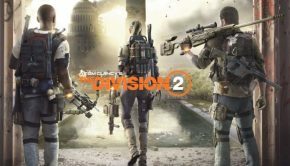 Even with my enjoyment of the rest of the game, it was hard to shake the feeling of frustration in having to engage in side-content I wasn’t interested in to be able to complete the true meat of the game – but for long-time fans, this is a familiar dilemma. In terms of visual design, Odyssey is up there with one of the best looking games in the series. 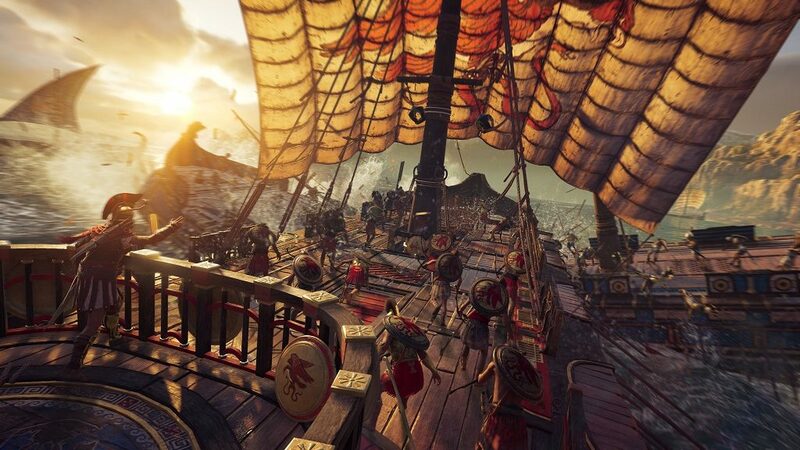 The setting of Ancient Greece and its many islands and warring city-states lends itself to bright bursts of colour and breathtaking landmarks, and the main character models and animations for Kassandra and the core cast are full of life and detail. Unfortunately, a few shortcomings bring down the immersion factor somewhat, with many quest-givers and side NPCs sharing similar faces and texture pop-in being a frequent issue, and on the technical side. loading times are noticeably longer in Odyssey. 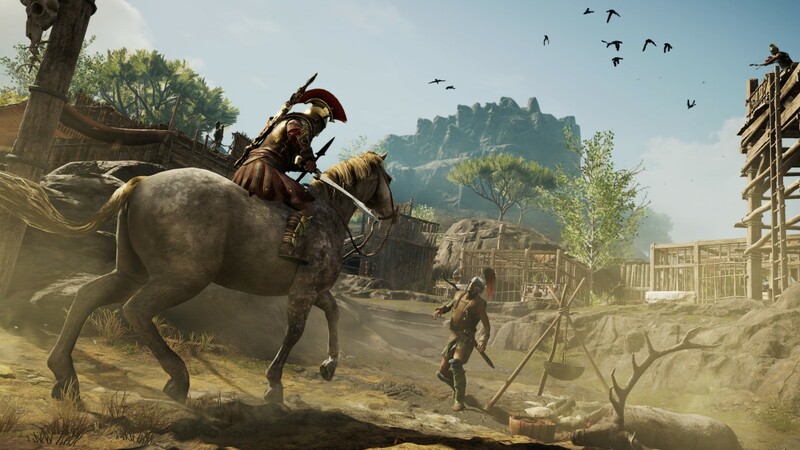 But none of this detracts from the intricately hand-crafted and generous historical sandbox Ubisoft seem to be able to pull off with higher quality year after year. 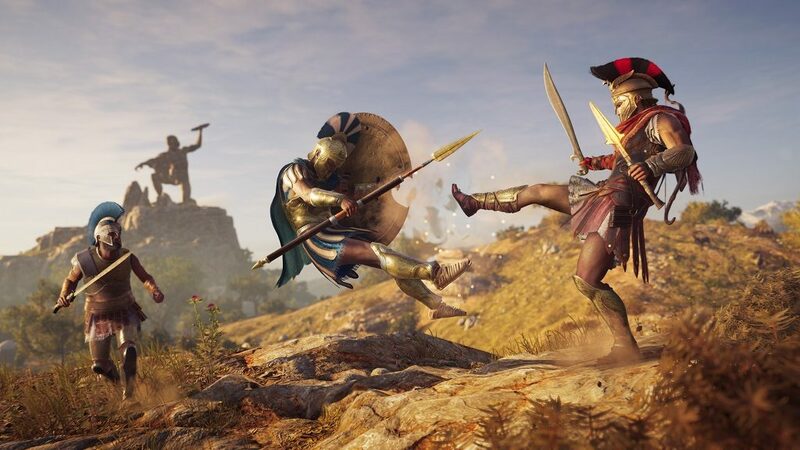 Assassin’s Creed Odyssey is a huge leap forward for the series towards a deeper action role-playing experience. 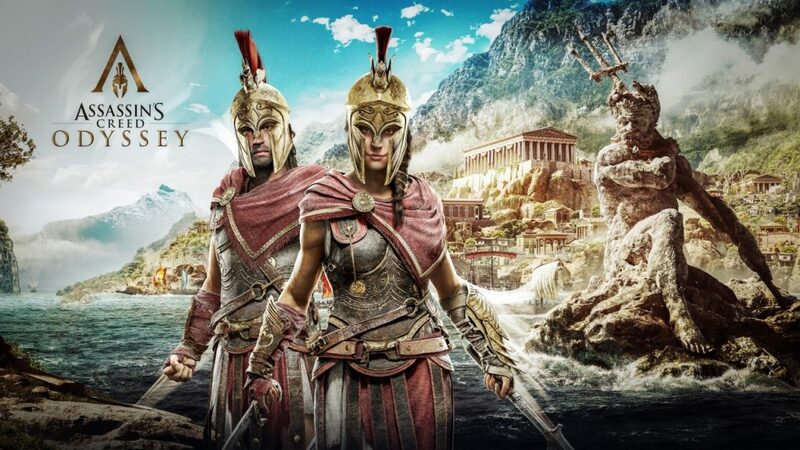 The sheer ambition and amount of content available in Ubisoft’s latest historical sandbox – quests, NPCs, side-activities, collectibles, historical landmarks, locations and secrets – is staggering, and it’s easy to get immersed in what is a truly spectacular open-world rendition of Ancient Greece, the Aegean Sea and its many different islands and warring states. This latest entry will especially resonate best if you enjoyed the different direction last year’s Origins took.